Have a Picnic under the Pergola! This beautiful graveled area has seven picnic tables hand build from refurbished materials gathered from the Christmas tree season. There are four concord grape vines that provide grapes and shade in late summer. The picnic tables can seat eight people each, there is a parking lot and a restroom available at the barn nearby. We are currently not ADA accessible, as our company was built before the Act, but we are in the planning stages for a fully accessible facility. Rental for the Pergola Area is $100 a day for Fri-Sun and $50 a day for Mon-Thur; available from 11 am to 8 pm, May through September. There are no refunds. If it rains, the Cabin will be made available to you, if it is not already reserved. 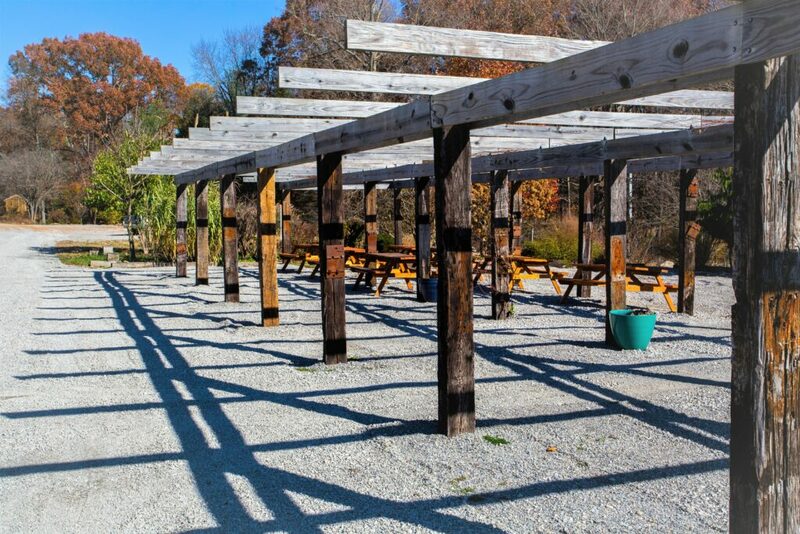 If the Cabin is reserved, your Pergola rental can be used on a different day with no expiration. Please keep the area as clean as you found it, dumpsters are located by the barn. There is no electricity at the Pergola, but it is possible to run extension cords to the barn. Leashed pets are welcomed on the farm and feel free to take a walk on the graveled roadways. You can RSVP through our website below and a Paypal link will pop up for you to pay securely for your reservation. 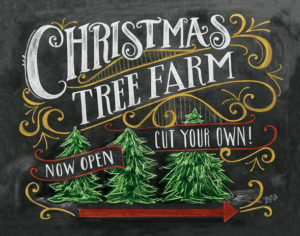 Thank you for visiting Twin H Tree Farms!